Hair loss is one of the most prevalent problems among adults that can lead to hair thinning or even baldness. Some of the common causes of hair loss are hormonal changes, certain medical conditions, poor nutrition, heredity or autoimmune diseases of the scalp. It is difficult to treat hair loss caused by heredity, autoimmune disorders or hormonal changes. However hair loss caused by temporary factors such as malnourishment, medication, stress, etc. can be treated with natural DIY home remedies such as coconut milk. Is Coconut Milk Useful for Hair Loss? Coconut milk contains high levels of magnesium. Research shows that this particular mineral is required by the hair follicles to strengthen the hair strands and prevent them from breakage. The antiviral, antifungal and antibacterial properties of coconut milk fight off scalp infections and prevent hair loss caused by these infections. The healthy fats in coconut milk moisturize the hair strands and improve their elasticity which in turn prevents breakage and hair fall. 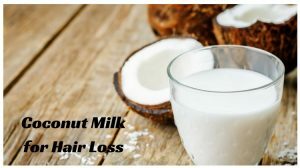 How to Use Coconut Milk for Hair Loss? Here are the various ways of using coconut milk to prevent hair loss. Try any one of them regularly to achieve the results. Break a coconut and grate the white flesh with the help of a coconut grater. Sprinkle some water over the grated coconut and then put it in a cheese cloth. Squeeze it to extract the milk from the grated coconut. Filter the milk and then heat it in a pan for 5 minutes. Let the milk cool down a bit and then store it in the refrigerator for a few hours. Apply the coconut milk thoroughly all over your scalp and hair. Massage for 5 minutes and leave it on for 3 to 4 hours. Then wash off with a mild shampoo followed by conditioner. Follow the process 2 times in a week. Being a natural emollient, honey moisturizes and conditions the hair. The antibacterial and antiseptic properties of honey stop hair loss caused by fungal and bacterial infections in the scalp. Take 1/2 cup of fresh coconut milk and add 2 tablespoons of honey to it. Wet your hair and apply this mixture all over your scalp and hair. Wear a shower cap and leave it on for 1 to 2 hours. Lemon juice is a rich source of vitamin C, B-complex vitamins and antioxidants which provide nourishment to the hair roots and fight off scalp infections. It also helps to get rid of dirt, sebum, and other deposits from the hair roots. Take 1/2 cup of coconut milk and add 2 tablespoons of fresh lemon juice to it. Mix it with a spoon and apply it all over your scalp and hair. Note – You can also use fresh lime juice instead of lemon juice. Olive oil is non-comedogenic, that moisturizes the scalp and hair without clogging the hair roots. It also helps to get rid of dandruff which is one of the main causes of hair loss. Massaging the scalp with olive oil also promotes circulation and minimizes hair breakage. Take 2 tablespoons each of coconut milk and extra virgin olive oil in a bowl. Using a cotton ball, apply it all over your scalp and coat the hair strands as well. Now, massage your scalp with your finger tips for 5 to 10 minutes. Follow the remedy 3 times in a week. Yogurt contains vitamin B5 and vitamin D that helps to nourish the hair follicles and prevents hair loss. The anti-fungal properties of yogurt help to fight off fungal scalp infections. Take 2 tablespoons each of coconut milk and plain yogurt in a bowl. Wash off the application with a mild shampoo. Camphor reinvigorates the hair roots and induces hair growth. It also kills the bacteria and fungi that cause scalp infections and lead to hair loss. Take 1/2 cup of coconut milk and add 2 teaspoons of crushed camphor to it. Stir it with a spoon and apply it all over your scalp and hair. Massage it over the scalp with your finger tips for 5 minutes. Leave it on for a couple of hours and then wash off with a mild shampoo. Amla or Indian Gooseberry is a rich source of vitamin C, amino acids, tannins, minerals and flavonoids that nourish the hair follicles and prevent hair fall. The antimicrobial, antibacterial and anti-inflammatory properties of amla prevent hair loss caused by scalp infections and inflammatory scalp conditions. Take 2 to 3 Indian gooseberries, cut them into halves and discard the seeds. Crush the gooseberries to make a thick paste and add it to 1/2 cup of coconut milk. Mix it with a spoon and apply it evenly to your scalp and hair. The powerful antibacterial and anti-fungal properties of castor oil treat scalp infections, folliculitus and dandruff – some of the common scalp problems that cause hair loss. Ricinoleic acid present in castor oil boosts circulation to the scalp and induces hair growth. Take 3 to 4 tablespoons of coconut milk and add a tablespoon of castor oil to it. Mix it with a spoon and apply it to the scalp and hair. Massage the scalp with your finger tips for 5 to 8 minutes. Leave it on for an hour and then wash off with a shampoo. Note – Castor oil is very thick, so you might have to shampoo your hair multiple times to wash it off. Curry leaves support the restoration process of the scalp and helps to open up the clogged hair follicles which promote hair regrowth. Antioxidants and amino acids in curry leaves rejuvenate the hair follicles and moisturize the scalp. Take a handful of fresh curry leaves and crush them to form a paste. Add the paste to 1/2 cup of coconut milk and mix it with a spoon. Fenugreek seeds are loaded with protein that nourish the hair follicles and strengthen them. Lecithin present in fenugreek moisturizes the hair roots and prevents breakage. Soak 3 to 4 tablespoons of fenugreek seeds in water overnight. Strain the seed and put them in a grinder. Grind it to make a paste and add 2 tablespoons of coconut milk to it. It is recommended to use fresh coconut instead of dried ones for the deriving coconut milk. Because fresh coconut yields higher amount of milk compared to dried coconut. Opt for a hot oil massage at least 2 to 3 times every week to improve blood circulation in the scalp. Limit the use of chemical-laden hair products, shampoos, conditioners, pomades, gels, hair colors, etc. Don’t use heated styling tools or hair dryers to style your hair. Control stress by practicing relaxing exercises such as yoga, deep breathing, meditation, etc. Trim your hair every 3 months to get rid of the split ends. Have a balanced diet rich in protein, healthy fats, whole grains, vegetables and fruits. Choose the right shampoo and conditioner as per your hair type. Did you try out any of these remedies for hair loss using coconut milk? Do, let us know which remedy worked best in your case. Share your tips and suggestions in the comments section below. Can I use organic milk from the dairy section if it’s 100% organic? 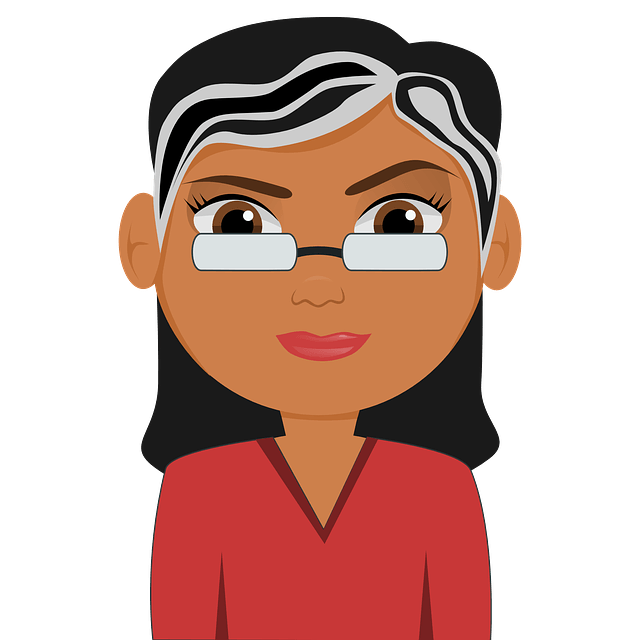 Yes, if you follow any process mentioned above in the article you can strengthen your hair follicles and restrict hair falling. Wont the use of lemon may turn the hair white? If used directly without diluting then it may slightly alter the color of the hair. My baby is 10 months old, I’m losing more than 200 hair every day, is coconut milk will work now? Yes, coconut oil helps to reduce hair loss and strengthen the hair follicles. Apart from that make sure to eat food rich in zinc, biotin, vitamin C, A and E. Drink plenty of water to flush out the toxins and maintain the scalp hydrated.